It was Mr. Rogers who so eloquently reminded the world that, in the wake of tragic events, it is important to “look for the helpers” because “you will always find people who are helping.” As the death toll continues to rise in Las Vegas in what is now believed to be the deadliest mass shooting in modern United States history, the extraordinary role first responders, police officers, and Good Samaritans played in rushing to the aid of victims and ushering shellshocked concertgoers to safety cannot be forgotten. During an appearance on the Today show on Monday, attendees who escaped Sunday night’s deadly Route 91 Harvest country music festival shared the heroic actions they witnessed firsthand at the event. Bleck admitted that he initially mistook the gunfire for fireworks or a crackling amplifier, but it quickly became clear something much more serious was happening. He said he saw people “dropping left and right” as bullets rained down around him and the ricocheting made it impossible to determine where the threat was originating from. At least 50 are now reported dead and more than 400 have been taken to area hospitals for treatment. The shooter, who authorities say waged the attack from across the street from the music festival at the 32nd floor of the Mandalay Bay Resort and Casino, has been identified as Stephen Paddock, a 64-year-old male from Mequite, Nevada. 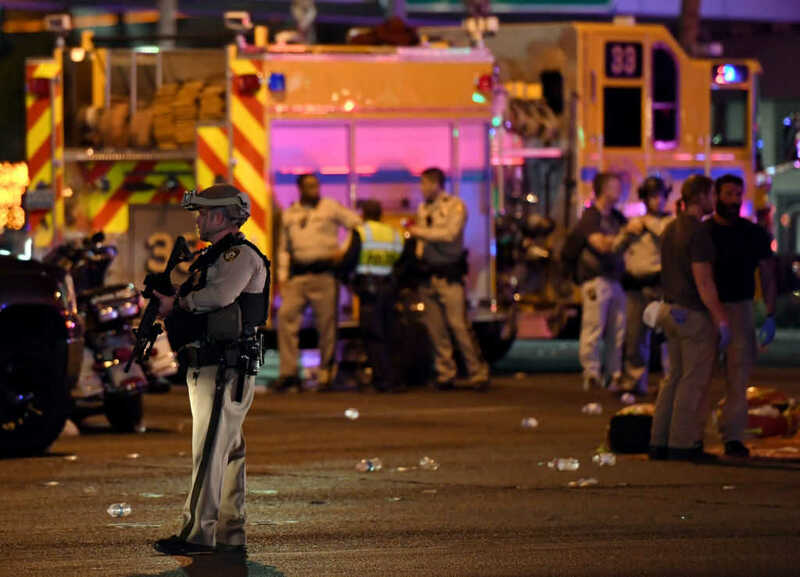 The Las Vegas Metropolitan Police Department confirmed that the suspect killed himself. On Monday, former executive assistant director of the FBI Shawn Henry and former New York City Police Commissioner Bill Bratton told NBC News the Las Vegas police deserve credit for identifying and locating the alleged gunman as quickly as they did.